Bea Bartley has waited ten years for her entire family to come home and celebrate Christmas together. This year her husband and three grown children reluctantly agree, though they not-so-secretly wish they could wait another ten. Brett, Bea’s oldest son, is the greatest dissenter in the group. Spending the weekend with his family while experiencing middle-aged angst ranks right up there with having his teeth drilled without anesthesia. Forced by his wife to play nice, Brett makes a weak attempt to grin and bear the visit. But when their holiday plans take an unexpected turn, Brett and the rest of the family’s true colors show through in a big way as the gathering reaches funny and epically uncomfortable proportions. 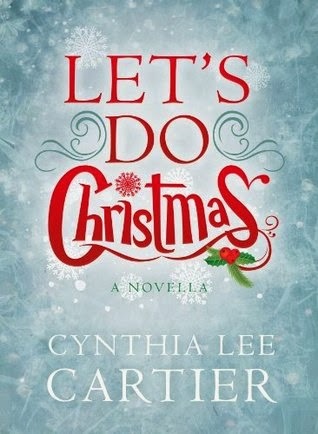 Let's Do Christmas is a fast-paced, comedic and heartwarming novella that takes one family’s less than Norman Rockwell dynamics and tests them to the very last merry drop. 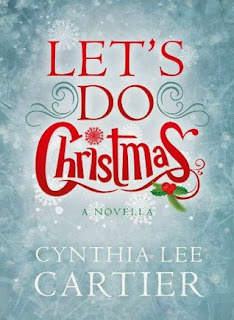 I've always enjoyed the dynamic writing of Cynthia Lee Cartier, and Let's Do Christmas is a great addition to her books. A short novel, just under a hundred pages, it's easy to find yourself caught up in the Bartley family. Dysfunctional, surely, but most families are. There's laughter, tears, and the spirit of Christmas packed within the pages and I found myself swept up in the short period of their lives. A perfect, quick read for the holidays - with love and the bond of family, even when things don't go the way you imagined, at the forefront of this delightful novel. Loved it!